Neoliberalism has been at the centre of enormous controversy since its first appearance in Latin America in the early 1970s. Even neoliberalism’s strongest supporters concede that it has not lived up to its promises and that growth, poverty, and inequality all have performed considerably worse than hoped. 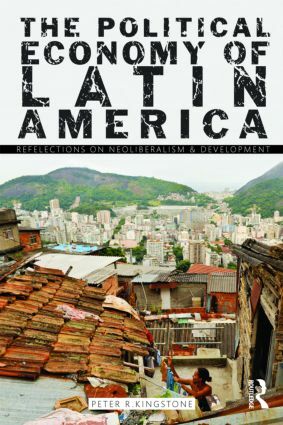 This brief text offers an unbiased reflection on the neoliberal debate in Latin America and the institutional puzzle that underlies the region’s difficulties with democratization and development. In addition to providing an overview of this key element of the Latin American political economy, Peter Kingstone also advances an important but under-explored argument about political institutions. Kingstone offers a unique contribution by mapping out the problem of how to understand institutions, why they are created, and why Latin American ones function the way they do.